SquigglyTwigs Designs: Get them Quick! The introductory pricing ends tonight for the Miss Emily. Get it quick as it will be $6 on Tuesday. The special pricing for Miss Leila and Lots of Ruffles will continue to next Monday, the 15th. I'm working on two dresses, could be Easter dresses, and a skirt. A least one will post this week. 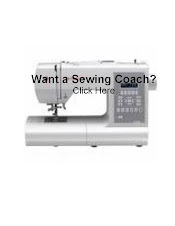 And, our Tuesday's Tutorial is an offer that anyone wanting to learn to sew, won't want to miss...an unbelievable deal for anyone...worldwide. And, they don't need to own a sewing machine..yet. Make sure you tell those want-to-be sewists to check the blog on Tuesday the 9th! You really can sew any of SquigglyTwigs Designs patterns. I'll make sure of it!